Combining digital storytelling with oral histories can be an even more valuable way for your students to layer meaning together in a digital space. While students can engage in both oral histories and archival research outside the digital world, blending recollection and archival records together in a digital story can animate meaning in ways students may not get from text alone. This assignment has many different parts: Finding/digitizing materials, interviewing someone with connection/knowledge with those materials, storyboarding, and creating. 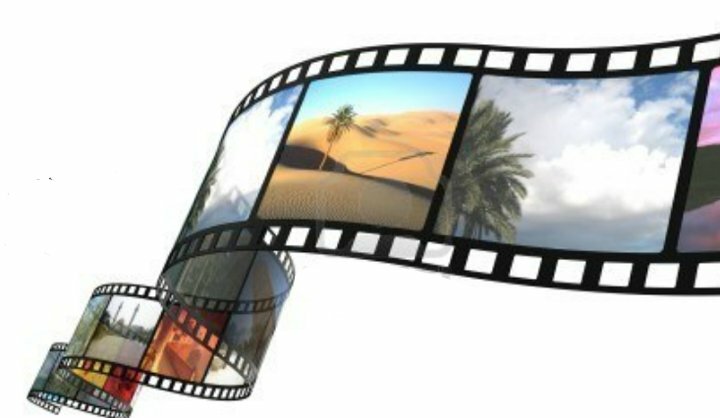 Your students may already be comfortable using digital tools to create and edit a short film, and so the technological aspect of this assignment could be the least difficult aspect of this assignment. Instead, to focus more on content and less on technology, an emphasis on storyboarding can help curb the difficulties of integrating oral histories with archival materials. Remember that oral histories and interviews need to be conducted ethically and with permission from your Research Ethics Board/Office. Visit York’s Office of Research Ethics (ORE) for support on how to obtain permission for your projects from the Ethics Board. In Juan Pablo Pinto Mendoza’s exhibit “Popular Education in Revolutionary Times: Reflecting on Nicaragua’s Popular Education Program in the 1980s,” Juan Pablo created a digital story that blended Dr. Deborah Barndt‘s archival materials with an interview he conducted with her about these materials. In the 1980s, Dr. Barndt taught in a Freire-inspired popular education program in Nicaragua, and she saved many documents from her time there. When CERLAC contacted Dr. Barndt about being part of this project, she enthusiastically agreed and worked with Juan Pablo to identify materials to digitize and archive. Juan Pablo also organized formal, video recorded interviews with Dr. Barndt to talk to her about her experiences in Nicaragua. As a documentary filmmaker, Juan Pablo was very comfortable telling stories in a video format. So, once the digitization and interviews were complete, Juan Pablo interspersed the interviews he conducted with Dr. Barndt with the images he digitized. The result was a series of short videos that Juan Pablo created to narrate a story far richer than archival material or a oral history alone. Digital tools and technologies, in this case, invited a weaving together of story and record (Sample, 2009) that Juan Pablo used to make, and present, greater meaning from Dr. Barndt’s experiences. An interesting moment in our project was when Juan Pablo completed one video and showed it to Dr. Barndt. She loved what he had done but immediately thought of other materials that she felt better reflected the story. Dr. Barndt then offered new, non-digitized photographs for Juan Pablo to digitize and splice into the video. The result was that the video became more of a “living archive” or a “living inquiry” than just a digital story alone (Sinner, 2013), which enriched Juan Pablo’s experience working with Dr. Barndt. Your students can also engage in oral histories or interviews, edit them with multimedia objects, and make them available online as a DHSS project. Your students may already be familiar with creating a digital story though Snapchat or Instagram and thus this assignment could be an opportunity for them to use these skills to active the meaning they are making in your class. In the spirit of creating a DHSS project that is woven, curated, or remixed, students’ digital stories can combine interview and materials to “talk” to each other in ways that expand analysis. Materials can augment an interview (like Juan Pablo’s) or an interview could explain materials (like Denise wanted to do). Because these are different approaches, you’ll need to decide if finding materials or interviewees would come first. Students could also be the subject themselves, as is the case with digital autoethnographies. To break down the steps of this assignment for your students, identify the topic or materials you want your students to use, the purpose of the assignment, and why and how engaging in an oral history/interview will create meaning making in new ways. Also give your students some options of what tools they can use to record their interviews and create their videos – there are many tools available and you may find that students have more experience than you in creating videos for distribution! For students with less technological experience, there are models out there for creating an animated PowerPoint with a voiceover as a digital story. Also visit the Centre for Oral History and Digital Storytelling at Concordia University for a great set of tools for both oral histories and digital stories. Following the creation of their videos, you may want to create a class-based YouTube channel where everyone can post their videos and solicit comments from classmates and/or community members. Have students walk a neighbourhood and either record their own impressions/memories of what they see/hear/smell/remember or conduct short interviews with community members about the neighbourhood. Have students create short videos interspersing these interviews with digitized community materials (menus, advertisements, posters, etc.) or archived materials about/from the neighbourhood to tell a larger story about the lived experiences of that neighbourhood. Jeff Zeitler created a manual for the Seward Neighborhood Group Archive Committee on “How to Record the Oral History of Your Neighborhood.” This may be a helpful start for your students thinking about the richness of their neighbourhood as a source of information. Have students engage in oral histories with family members or elders and intersperse these stories with the family member’s own materials. See Pier 21’s digital stories as potential examples your students could replicate that focus on migration. Like Juan Pablo, students can interview someone who knows about an archival collection, such as the creator or the archivist, and digitize and create a story around the interaction between the stories the person told and the materials. Alexander, B. (2017). The New Digital Storytelling: Creating narratives with wew media–Revised and Updated Edition. ABC-CLIO. Ohler, J. B. (2013). Digital Storytelling in the Classroom: New media pathways to literacy, learning, and creativity. Corwin Press. Oral History Digital Story by Samantha Cutrara, PhD, for the Office of the Vice Provost Academic, York University is licensed under a Creative Commons Attribution-NonCommercial-NoDerivatives 4.0 International License, except where otherwise noted.